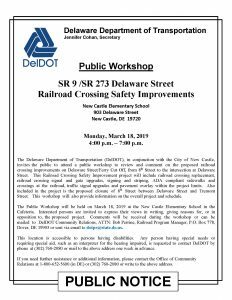 provide information on the overall project and schedule. 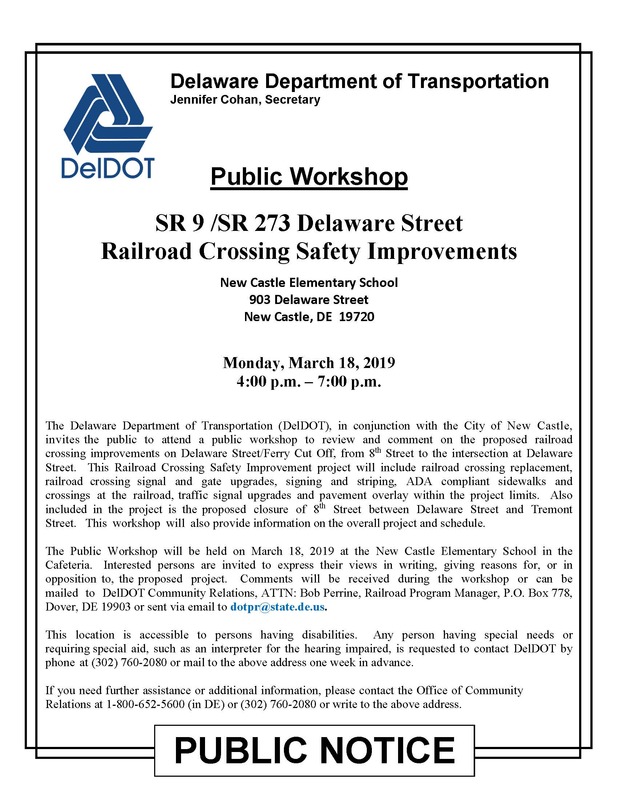 The Public Workshop will be held on March 18, 2019 at the New Castle Elementary School in the Cafeteria. sent via email to dotpr@state.de.us. (302) 760-2080 or mail to the above address one week in advance. at 1-800-652-5600 (in DE) or (302) 760-2080 or write to the above address.